Attach the Cutter Sleeves to the Power Driver for easy full depth bulk sampling. These 3x5 ziplock bags are specially marked for asbestos samples. These bags can be used for transport of bulk or asbestos cassette samples to the laboratory. 1,000 per box. This is a 25mm TEM cassette with 0.45u MCE filter designed and manufactured to meet all applicable NIOSH, OSHA, and EPA standards. Used to sample for asbestos in air. A variety of cassettes are available to sample for asbestos. Sampling for asbestos involves specifically designed sampling heads and cowls together with special gridded filters which are later inspected visually or via Scanning Electron Microscope. 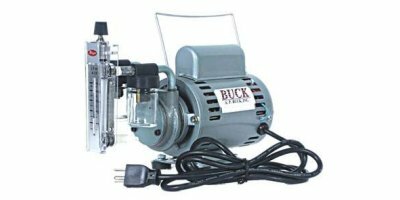 Range 0.8 to 4.0 LPM - The Buck Libra is a low-cost high-performance personal air sampling pump. It is a “no frills” model designed for sampling of asbestos, lead, and other airborne contaminates. The rugged, compact design features a rechargeable nickel-cadmium battery with available one-hour recharger. This is a 25mm PCM cassette with 0.8u MCE filter designed and manufactured to meet all applicable NIOSH, OSHA, and EPA standards. Used to sample for asbestos in air. Please note: A single order will come in a box containing 50 cassettes. A case of cassettes will require a purchase of 10 boxes. These individual cutter sleeves are packed in clear vials to prevent cross contamination of samples. Special 'Write -On' plastic and tight cap eliminate the need for labels. 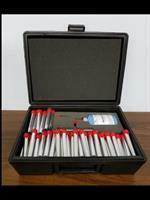 This lightweight and compact kit is the safest and most efficient way to collect bulk asbestos samples. The safest, most efficient way to collect asbestos bulk samples. Includes: Rugged carrying case with fold-down handle and positive grip latch, one handle, Wonder Fill repair insulation (6oz), power driver, and 100 cutter sleeves in clear slim vials with caps. 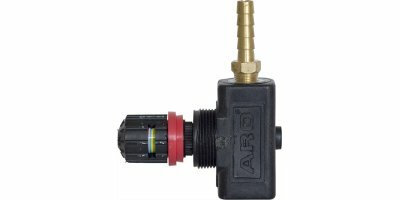 This piece connects to a high volume pump and is used to adjust and lock the flow on the pump. The Gilian BDX-II is an economical air sampling pump designed specifically for abatement and lead applications. 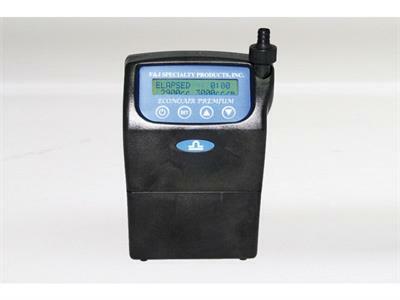 It is a compact and rugged air sampling pump optimized for sample methods between 500 cc/min and 3000 cc/min. The BDX-II is powered by a rechargeable NiCd battery that provides up to 10 hours of operation on a single charge.